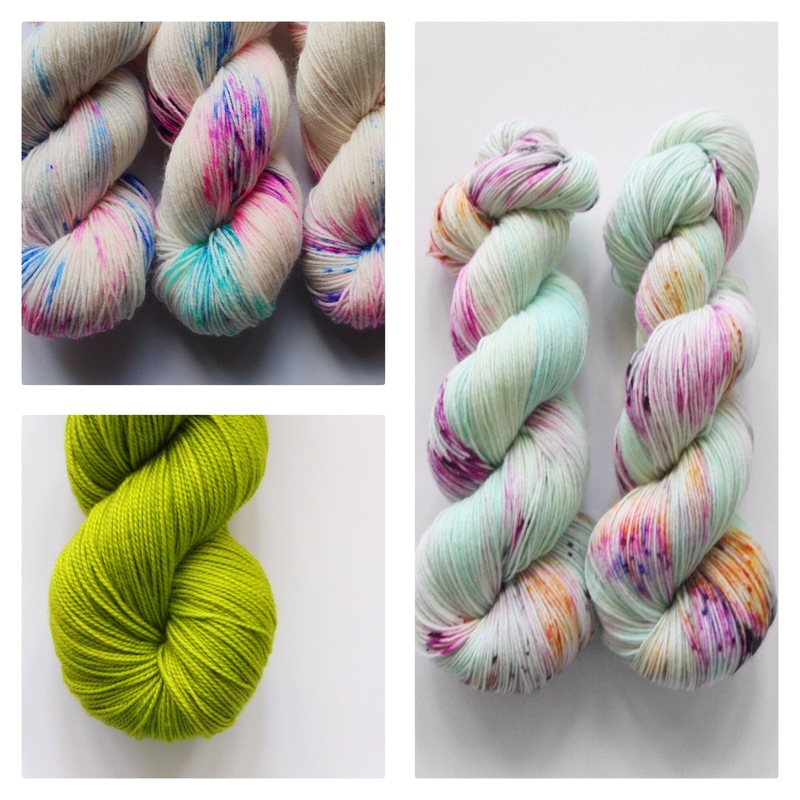 Some of the sockyarns that I’ll be adding in the shop update tonight at 7pm EDT. I’ll be restocking Prosecco & Outlander! 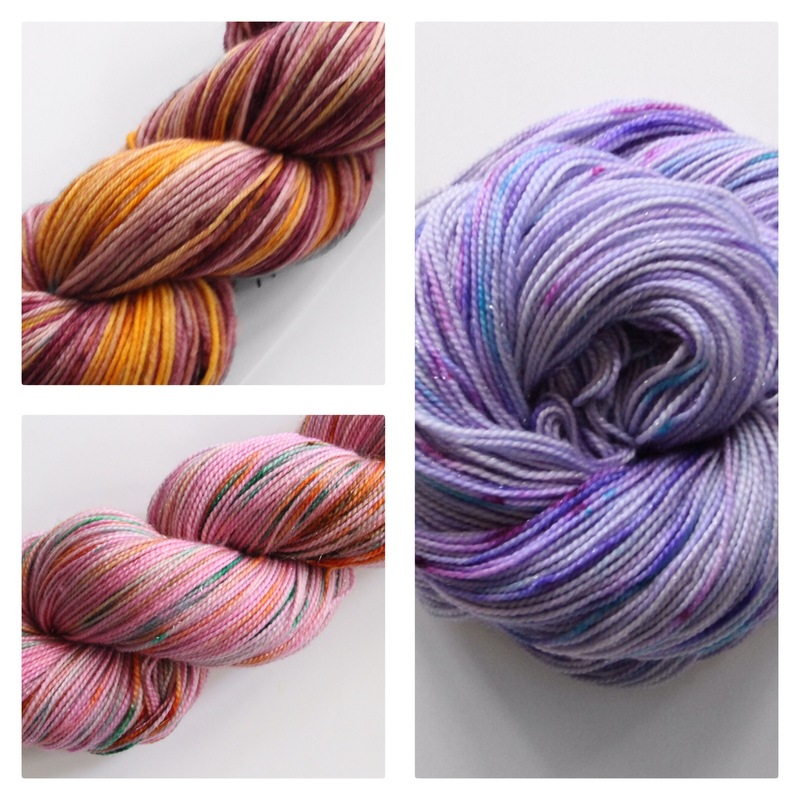 Introducing a few new colorways too! Clockwise from top left: Molly, Forget Me Not and Snapdragon. Clockwise from top left: Aurora, Coral Reef and Wilson. Visit my Etsy shop for more info! Shop update – Thursday 7/28/16 7pm EST! Which is your favorite? 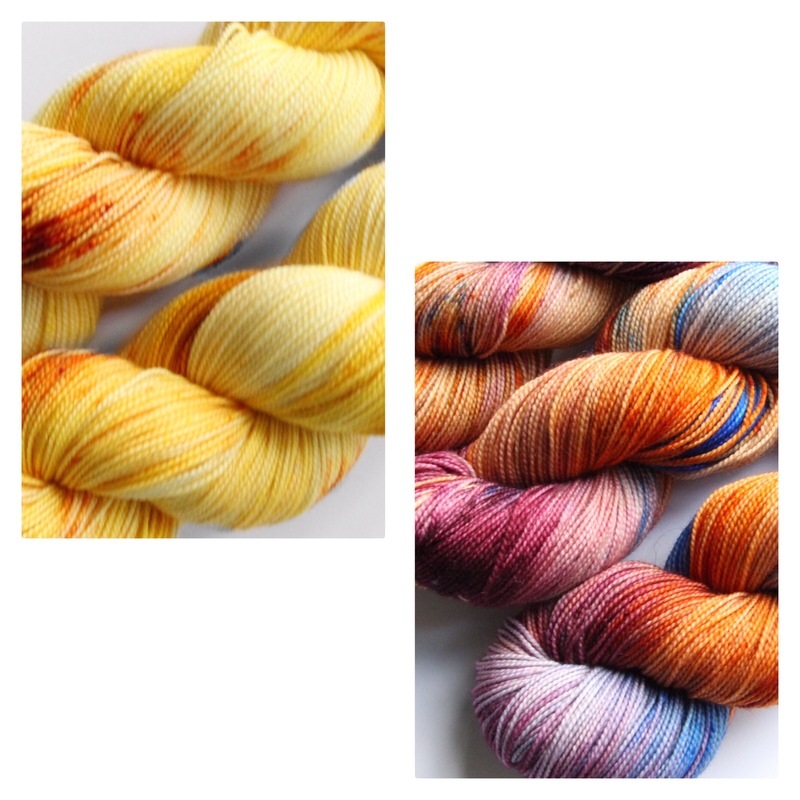 Do you like the yarn bases that I have available or would you like to see me try something else? (Check out my current yarn bases here). Share your thoughts here!